Various operative approaches have been attempted to resect pathological lesions in the neck and body of the pancreas [1, 2]. For benign and low malignant potential lesions in these regions, central pancreatectomy is commonly used, whereas more aggressive resections, such as pancreaticoduodenectomy or distal pancreatectomy, are usually used for malignant lesions [3, 4]. As early as the 1900s, Ehrhardt and Finney reported on resection of the central portion of the pancreas, followed by reconstruction of the pancreas by direct suturing of the two pancreatic stumps . The medical literature became completely silent on central pancreatectomy followed by reconstruction of the pancreas for 70 or more years. In 1982, Dagradi and Serio reported on central pancreatectomy followed by reconstruction of the pancreas by oversewing the cephalic stump and performing an end-to-end pancreaticojejunostomy for the distal pancreatic stump . 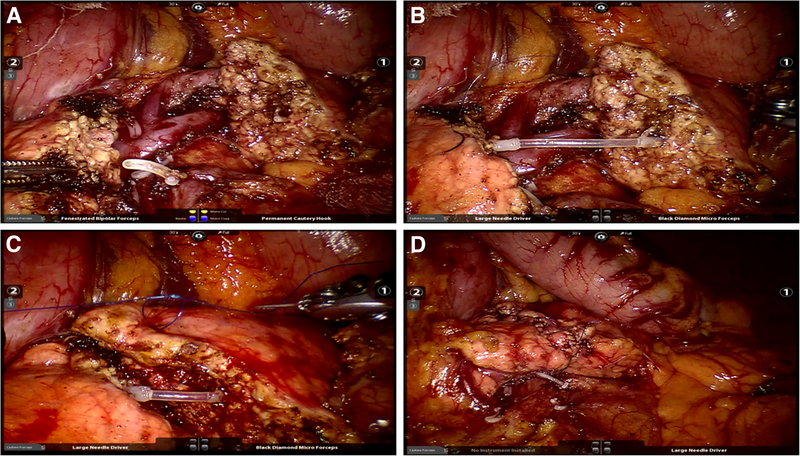 Since then, this method of reconstruction became the conventional procedure following open, laparoscopic, and robotic central pancreatectomy [7–9]. 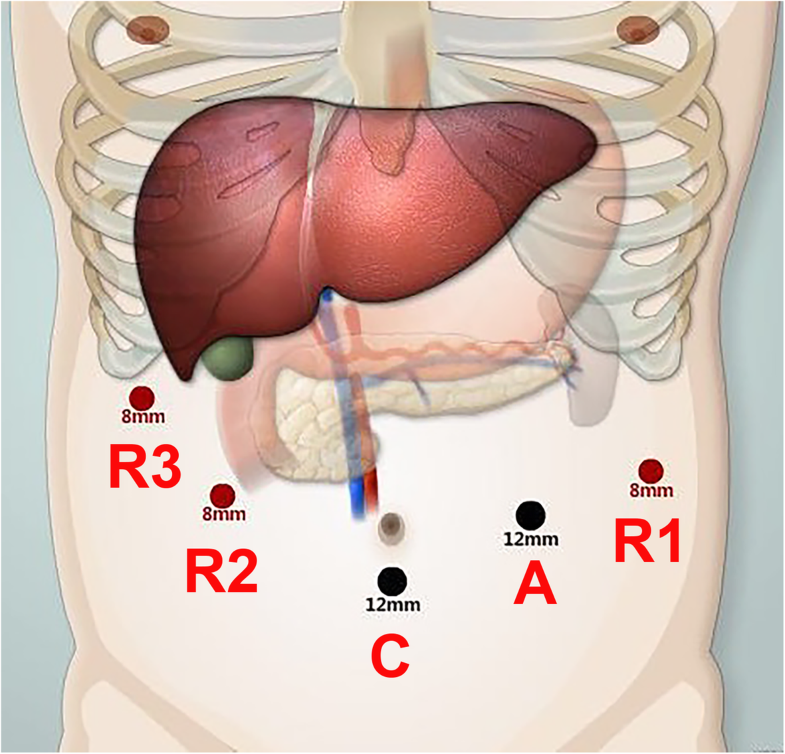 In the recent one to two decades, only anecdotal reports were published on the end-to-end anastomosis of the pancreas following central pancreatectomy, even though this reconstructive technique is straightforward and accords with normal physiology and anatomy [17–19]. This can partly be explained by the suboptimal anastomotic techniques and the limited operative views in the past. In the past one to two decades, minimally invasive pancreatic surgery has undergone fast development [20–23]. Minimally invasive equipment and instruments allow surgeons to perform operations with less trauma. The robotic surgical system overcomes several drawbacks of the laparoscopic system and allows more complex procedures to be carried out [24–26]. In this study, our initial clinical experience on robotic end-to-end pancreatic anastomosis following central pancreatectomy was reported . The end-to-end anastomosis of the pancreatic stumps after central pancreatectomy has all along been considered by mainstream pancreatic surgeons to be unreliable , and prone to result in severe POPF, especially when the texture of pancreas is normal and the main pancreatic duct is not dilated. In the past, the end-to-end anastomosis of the pancreas has been used to repair traumatic pancreatic neck transections. For the various techniques which have been reported, one technique was to use a pancreatic stent and to perform an end-to-end anastomosis of the pancreatic duct and parenchyma . Another technique was to do the pancreatic anastomosis using a stent put into the pancreatic duct which was then brought through the ampulla of Vater, through the duodenum into the stomach, and then exteriorized through a gastrostomy . Other techniques include pancreatic duct opposition with or without ductal anastomosis, and with or without pancreatic parenchymal anastomosis . The postoperative complications and long-term follow-up of these reported cases were favorable. 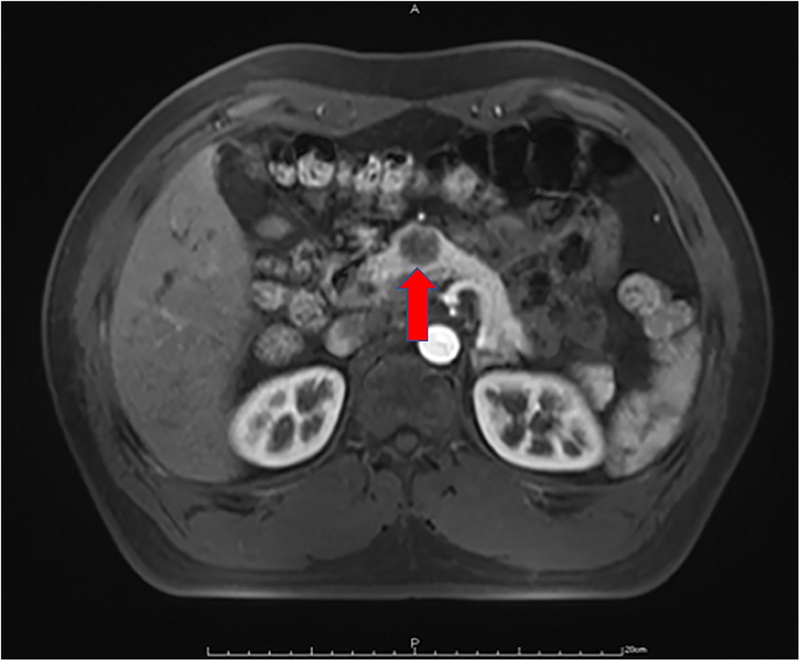 In pancreatic trauma, unlike in central pancreatectomy, the gap left between the two pancreatic stumps is much less. The earliest report on the use of the end-to-end anastomosis following central pancreatectomy was in the 1900s. This operation was seldom used subsequently . An experimental study in dogs using an end-to-end anastomosis with or without stenting following central pancreatectomy suggested that this reconstructive technique was practicable . Subsequently, only occasional case reports on one to three patients using this technique for pancreatic reconstruction after central pancreatectomy were reported [17–19]. These reports routinely exteriorized a stent through the ampulla of Vater for internal-or-external drainage. Ramesh  added a serosal patch from a Roux-en-Y limb of the jejunum to the anterior suture line to buttress the anastomosis.